Book Review: 'The Story of Kullervo' By J.R.R. Tolkien While still at university, J.R.R. Tolkien became fascinated by Finnish mythology, abandoning his Classics degree to adapt the epic Story of Kullervo — work that led to the creation of Middle Earth. In 1913, the 21-year-old Ronald Tolkien should have been studying for his exams. He was halfway through his Classics degree — the subject all the best students did at Oxford in those days. Getting admitted to Oxford on a scholarship was a great opportunity for young Ronald, an orphan who had always struggled to stay out of poverty. A Classics degree would have set him up for almost any career he chose. But he wasn't studying. Instead, he was trying to teach himself Finnish. Tolkien's twin obsessions at the time were his future wife, Edith Bratt, and the Kalevala, the national epic of Finland. This collection of poems, myths, spells and hero-tales had been collected and published in the early 19th century, but the poems themselves are thought to be far older. Its unique voice, resembling no other European mythology, thoroughly captured the mind and heart of young Tolkien. "The almost indefinable sense of newness and strangeness ... will either perturb you or delight you," he wrote at the time. "Trees will group differently on the horizon, the birds will make unfamiliar music; the inhabitants will talk a wild and at first unintelligible lingo. ... This is how it was for me when I first read the Kalevala — that is, crossed the gulf between the Indo-European-speaking peoples of Europe into this smaller realm of those who cling in queer corners to the forgotten tongues and memories of an elder day." After his attempt to learn Finnish ("I made a wild assault on the stronghold of the original language and was repulsed ... with heavy losses"), Tolkien began to translate and adapt one part of the Kalevala that attracted him particularly: the story of young Kullervo, the ill-fated boy who seems to destroy everything he touches. 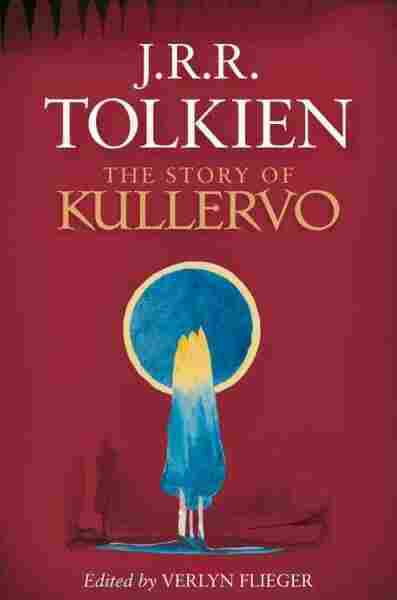 The Story of Kullervo, edited by Verlyn Flieger, brings these first fruits of Tolkien's fertile mind into the public eye at last. Those expecting a typical Tolkien story will be unsettled by Kullervo: He is physically ugly, angry, destructive and uncontrollable. The book contains Tolkien's translated and adapted Story of Kullervo, as well as two versions of an enthusiastic essay by him about the Kalevala. Although all are unfinished, there's certainly enough material there for a fascinating read. Those expecting a typical Tolkien story will be unsettled by Kullervo: He is physically ugly, angry, destructive and uncontrollable. Raised as a prisoner of his father's murderer, Kullervo survives all attempts to kill him and ruins every task he is given. Sold into slavery and mistreated by his master's wife, Kullervo arranges for her to be eaten alive by wolves and bears. On his way home, he meets a girl and abducts her; they live together for a time, but she drowns herself when they discover they are brother and sister. In other words, this folk tale is not a nice one. Newcomers to Tolkien may find it a somewhat rough ride, but Tolkien geeks will find plenty to geek out about. It's long been known, for example, that the first language Tolkien created for his Elves was based on Finnish; and that Tùrin Tùrambar, the charismatic, doomed anti-hero of Tolkien's Silmarillion, was based on the equally doomed Kullervo. Reading The Story of Kullervo lets us see that process happening. Rather than giving a straight translation of the Finnish original, Tolkien is already beginning to bend and shape the story, telling it his own way. He gives Kullervo a wise magical hound as his lifelong protector, and a twin sister whose name means "Weeping." Kullervo's mother, with her steadfast love for her terrible son, is much more strongly drawn in Tolkien's version. Readers of the Silmarillion will recognize these story elements and more. Tolkien's version of the Kullervo story and his writings about it have never been available to the public before, and to those who get a kick out of tracing the history of Tolkien's invented world of Middle-Earth, this edition is a great find. Flieger's edition lets Tolkien's text speak for itself, with all its imperfections and archaicisms; her beautifully precise notes easily clear up any confusion for the modern reader. Meanwhile, back in 1913, you'll be glad to hear that young Tolkien did manage to pass his exams. But thanks to love and the Kalevala, his marks were so low that he was persuaded to change his degree from Classics to English Language and Literature — the field he would remain in for the rest of his life. It's possible that we might be living in a world without Hobbits if the 21-year-old Tolkien hadn't been preoccupied with the short, violent life of Kullervo and the greater, stranger world of the Kalevala.